Kids at a local event in the Texas capital said the car looked like "the future." In the next few weeks, Google will start testing a few of its prototype vehicles in the area north and northeast of downtown Austin, the company said Monday. The cars will navigate the same area where Google’s Lexus SUV self-driving vehicles have driven for the last couple months. Bringing the cars to Austin will allow Google to test its vehicles in a location with road conditions, traffic patterns and driving situations that differ from those in Google’s home base in Mountain View, California, the company has said. Over the weekend, Google held an event at a children’s museum in Austin with its cars on display. During a question-and-answer session, kids said the prototype vehicle looked like a gumdrop, a bug, a computer mouse, and “the future,” Google said in a blog post on Monday. In a self-driving car, kids said they’d most enjoy eating tacos and reading, Google said. Bryce Bencivengo, a spokesman at Austin City Hall, said that from a regulatory standpoint, self-driving cars in Austin are currently treated the same way as regular cars, and must obey all traffic laws. The results of Google’s tests might pave a way forward to create a framework for new self-driving car regulations, he said. 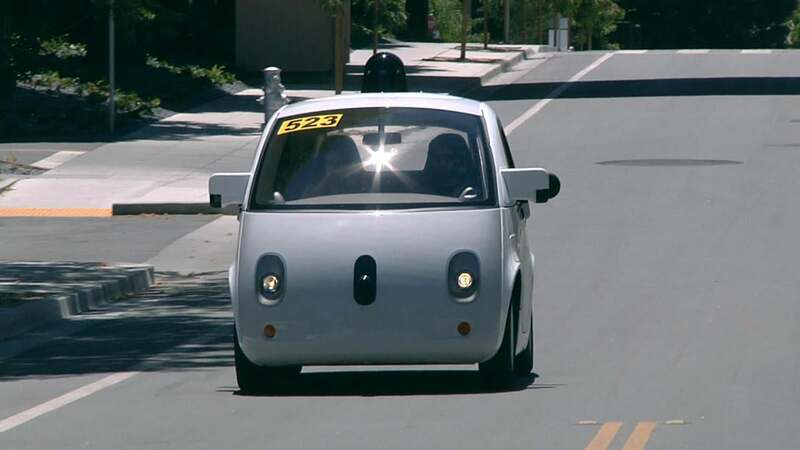 A Google self-driving car navigates streets near the company’s headquarters in Mountain View, California.